Today I would love for us to have a dialogue about this topic. Nothing will make me more happy than for you to share your opinion with me. 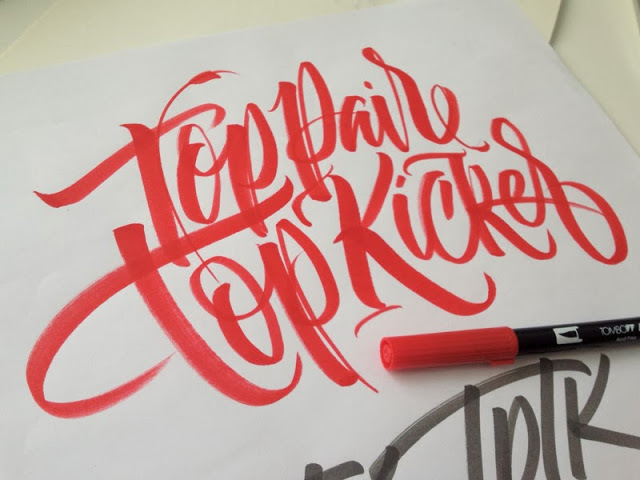 I want to talk about something that seems easy to understand but in reality it tends to be a bit confusing to differentiate between typography, lettering or calligraphy can be a bit of a challenge. 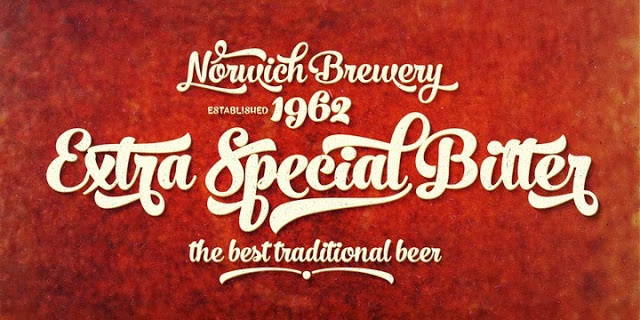 Throughout this time being behind this blog I have noticed that even the masters of design can fall into this confusion. The Internet is full of images and if we look at them we can put them in wrong category and again this is normal specially if the design that we found it's already finished and in a digital form. Let us start describing the difference between each of them–this is where I need your point of view, later on we will see the cause of this confusion. I am not trying to go into deep details about this topic we already have Wikipedia for that. All I'm going to do is give you a short description that is easy to understand. 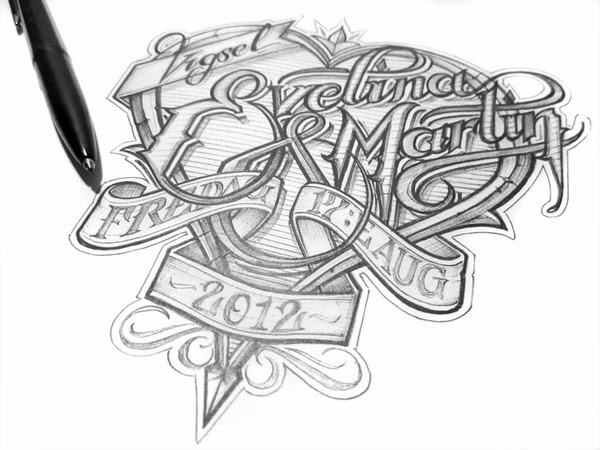 Is a design done by any type of calligraphic tool, dip pen, brush and such. 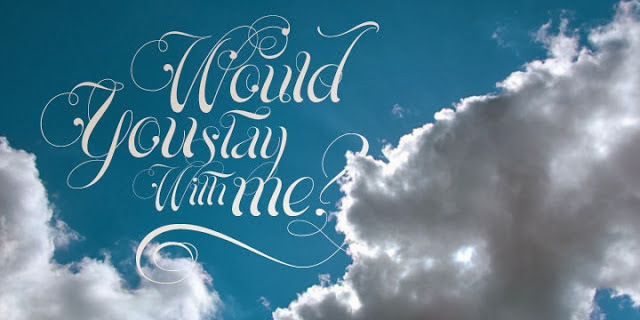 But, let me make this clear calligraphy is a form of art written in a decorative way done by hand. How about I just show you instead of describing word by word. 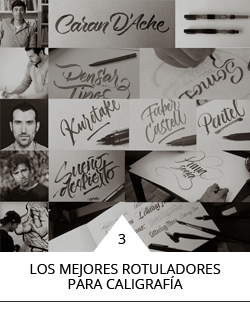 The following example is done by our friend Joan Quiros designing two different types of calligraphy. 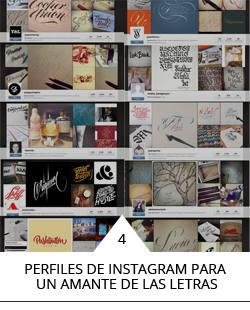 The following is done by Silvia Cordero Vega showing us her beautiful way. 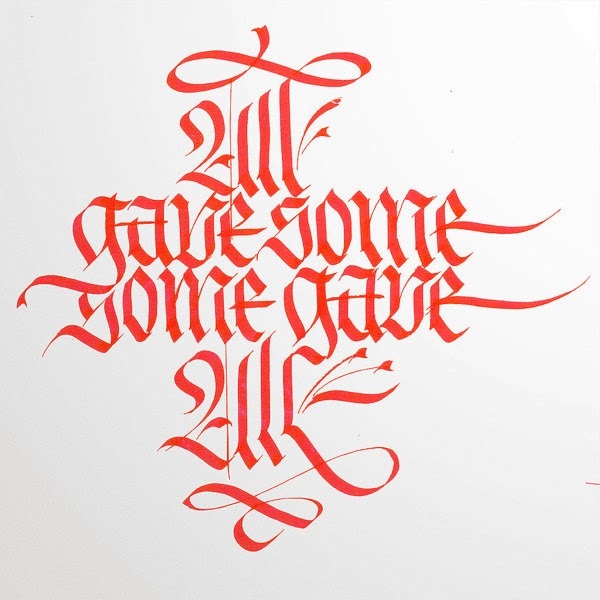 Another quick example of Fidel López doing a beautiful "Z" with a different calligraphic tool. 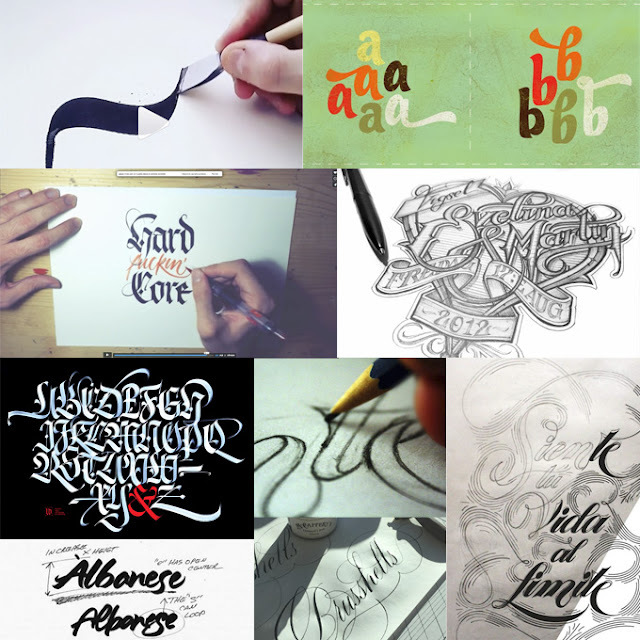 As a last example of calligraphy, a video of the master Luca Barcellona. 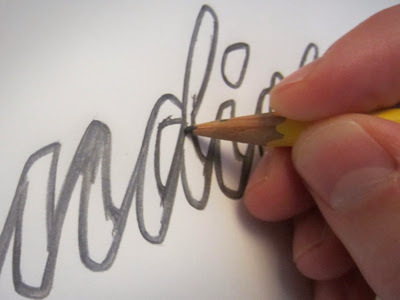 If we literally define the word it would be "letters drawn by hand" this means that the designs are drawn and NOT written. 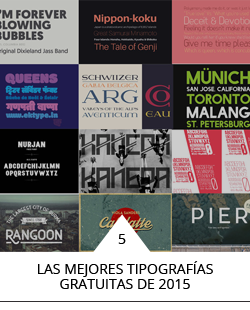 Let's try to describe the term as "digital typography" or "fonts" that it is a set of numbers and characters that have similar characteristics that are programmed for us to be able to use it on our computers. It is more than cleared that all these definitions can be explained deeper and extend the topic, but I'm only trying to give you a short and clear definition. So then, if we have the terms clear why do we get confused? 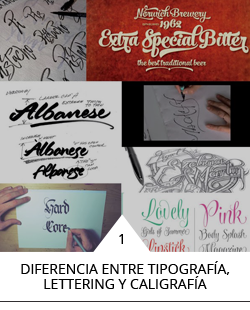 1.- People that are not familiar with what graphic design is cannot differentiate what typography, calligraphy or lettering is. 2.- These These terms are familiar with each other and at some point they should be connected with each other. Here it's what I mean, and pay close attention to this. 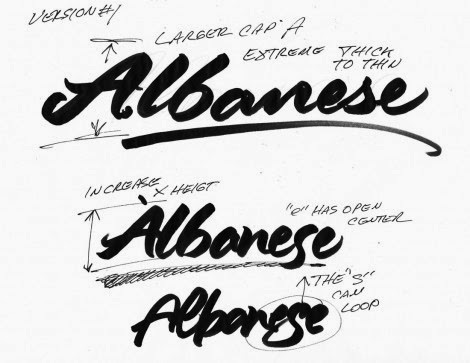 In several cases we end up using the three phases for example you start off a design by handwritten (calligraphy), then you polish the details (lettering), and then you digitize and program it to have a font. 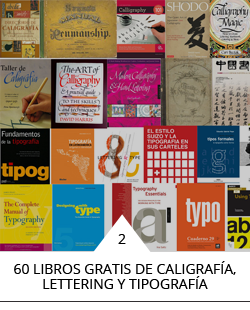 We have come to the conclusion, hoping that it will help you have a bigger understanding and how to see the difference between calligraphy, typography and lettering. Feel free to share your knowledge about it and perhaps share your experience! Gracias Nadia. A concise, easy and clear explanation. 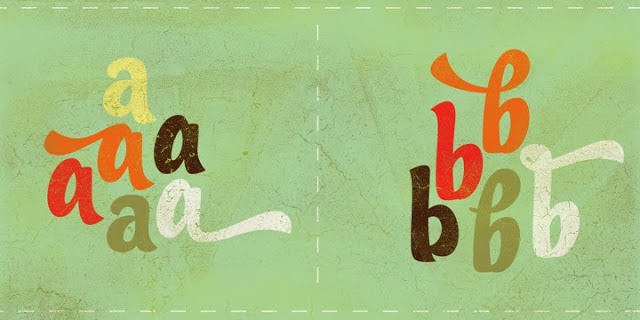 I agree that people confuse all three because they are not familiar or been formally taught calligraphy. Great job on the definitions.